Relatively recently, within the last few years, Disney released their official line of baby toys, clothes, bibs, sippy cups, bedding, etc. This line is called, wait for it, "Disney Baby." Disney Baby has released products from many of the popular Disney films, a few of them being Pixar related. So far, products based on Monsters Inc., Toy Story, Cars, Monsters University and Finding Nemo have all been represented in the line. I've known about this line for quite a while now, but, since my wife and I don't have any babies yet, I never paid too much attention to it. However, when I saw many of the products while at the store recently, I really couldn't help but get a few and save them for when our baby arrives in a couple years. I figured, these will probably be gone by the time we have kids so why not just get them now so I don't regret it later? 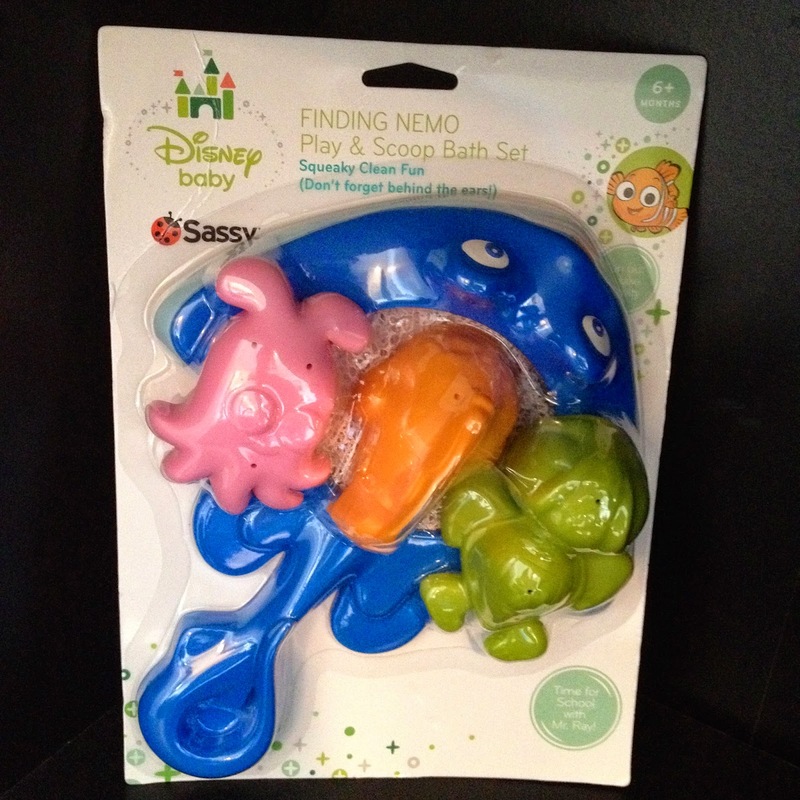 What really sold me was the idea of getting some baby stuff now were the Finding Nemo bath toys. When I was little, I loved playing with toys during bath time. I had a whole bucket full of them kept under the sink in the bathroom that I couldn't wait to play with each day. When I saw how adorable these toys were in person, I knew they would be great fun for our baby someday. Plus, I just felt Finding Nemo and bath toys was the absolute perfect pairing that I'm surprised took this long to really expand. 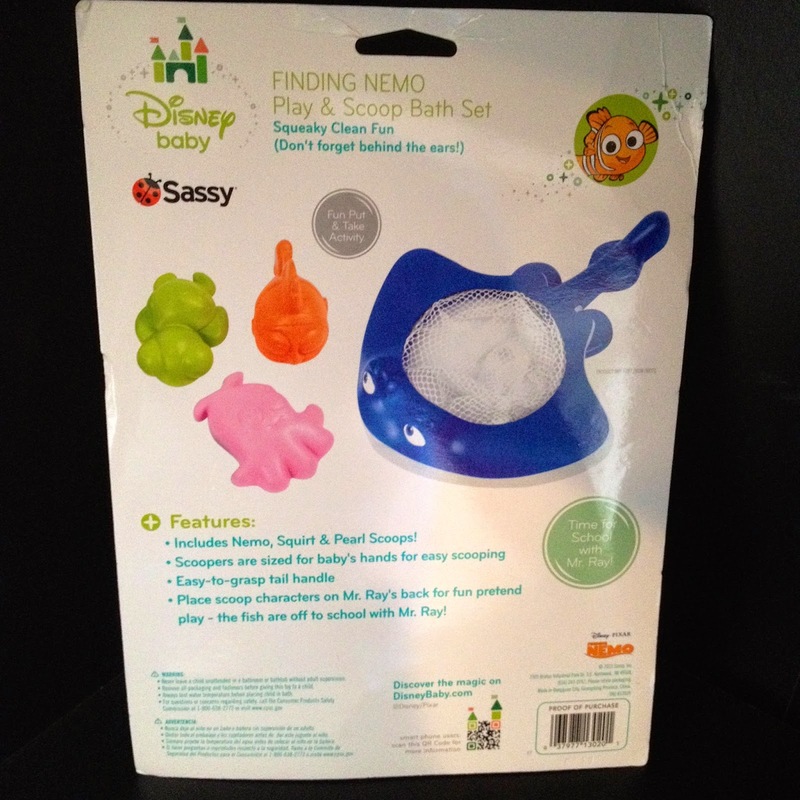 The merchandise for Finding Nemo was meant to be pool and bath toys, it makes the most sense! This extremely cute bath "net scoop" is designed like Mr. Ray, Nemo's school teacher. It includes little scoopable plastic characters of Nemo, Pearl and Squirt that "ride" on Mr. Ray's back and go off to school (as seen in the film) as you scoop them up. 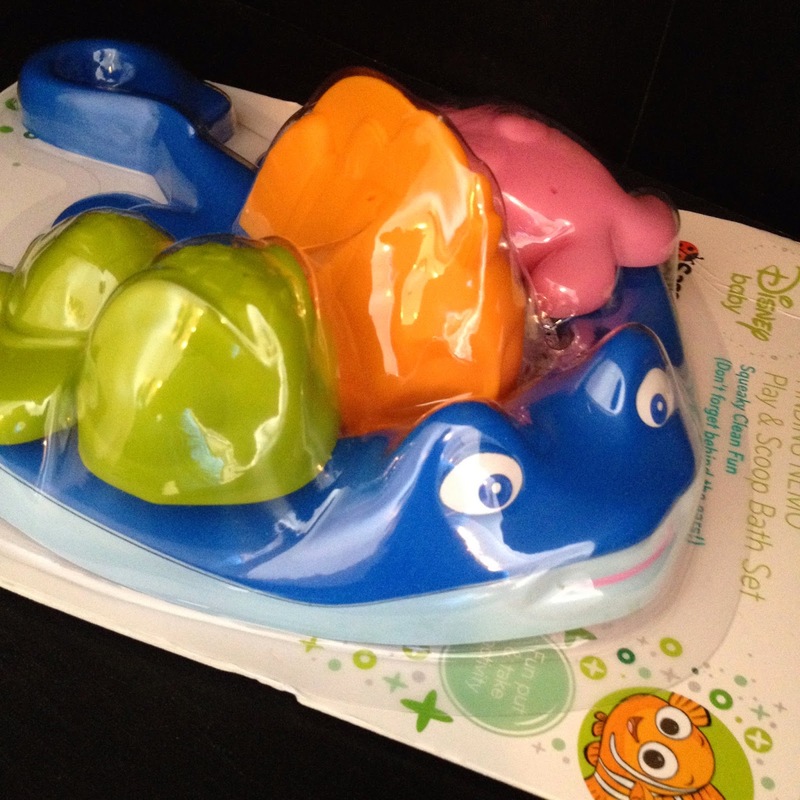 If you have, or soon will have, little baby Finding Nemo fans, I really can't recommend this set enough. It sells for just $9.99 and can be found at Walmart, Target, Toys R Us, Babies R us and others. Or you can grab it right on Amazon, if that is the most convenient. Check out DisneyBaby.com for many more great Disney Baby products and stay tuned for reviews of a few more right here soon!